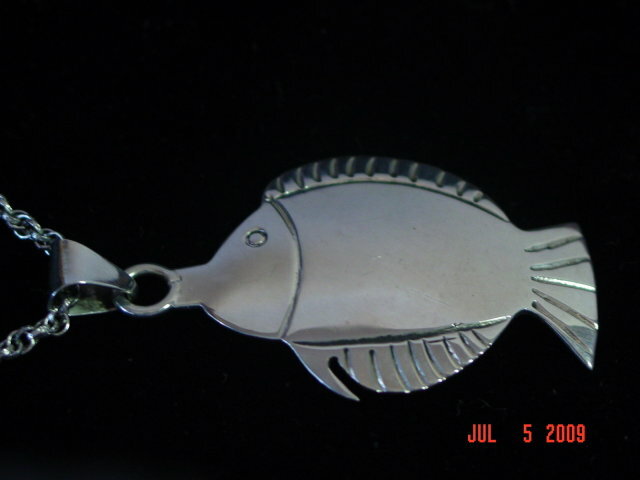 Sterling silver fish pendant. Excellent condition. Marked Silver on the back. Does not come with the chain. Items Similar To "Sterling Silver Fish Pendant"